Well, race season has started! It looks like this is not going to be a season of great personal accomplishments in endurance or fitness, but I’m happy to report we’re keeping active as a family. 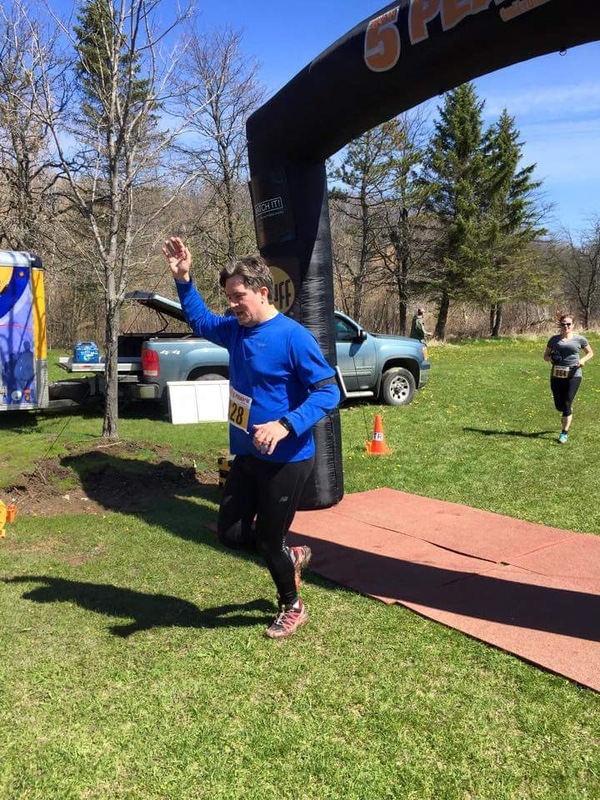 Our inaugural race for the warmer months was the 5 Peaks Trail Run at Terra Cotta. Shark Boy was participating in his first timed event. He’s quite fixated on numbers and quantifying things; it’s always a big deal who’s older, who’s bigger, etc. 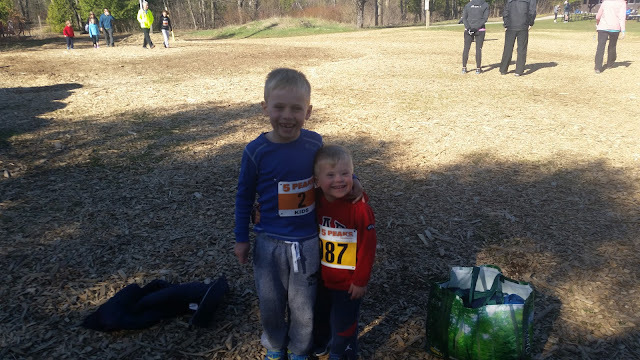 I’m a little apprehensive about introducing him to more competitive events - he seems to be the fastest kid in his own schoolyard races, but I don’t want him to get upset if he’s not the biggest fish in a bigger pond, if you follow my meaning. 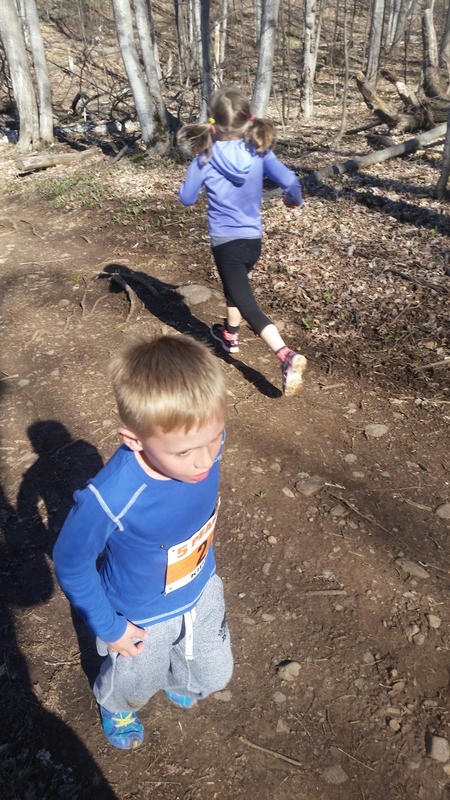 Luckily, 5 Peaks seemed to have no problem with parents running alongside their kids at this event; I guess there was plenty of space on the trail. Though plenty of kids took off in front of us, I tried to get him to reign in his pace and save the best for later on. I’m really glad he listened, because he got to trade in his disappointment at being in the back of the pack for the thrill of passing others on the uphill climbs, who had already blown up. He did give me a good scare when he tripped and landed practically on his face, but he got up again and kept running without any tears, so no blood, no foul, I guess. He ran the entire 3 km and ended up in 20th place overall. 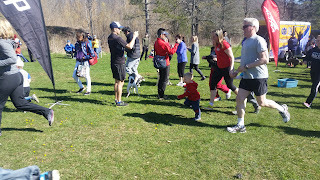 The Lightning Kid did the 1 km 'fun run' with his mother. 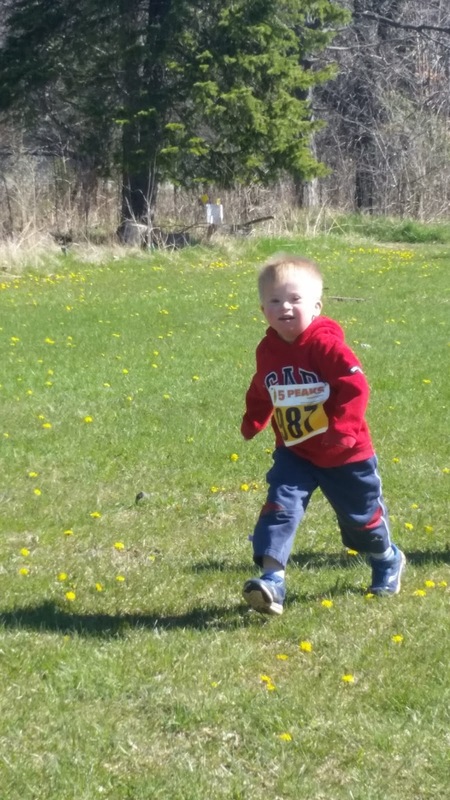 He's picked up some speed from last year, and I think the concept of racing is starting to sink in, but he still does take his time to smell the roses on the course. I think he just loves all the attention he gets. I participated in the Sport course race. Since the race was some time ago, I don't really recall too many details, but Terra Cotta isn't the hilliest course in the series, but it is still very pretty. I came in 22nd in my age group, which I was happy enough with, considering I wasn't really training prior to the race. 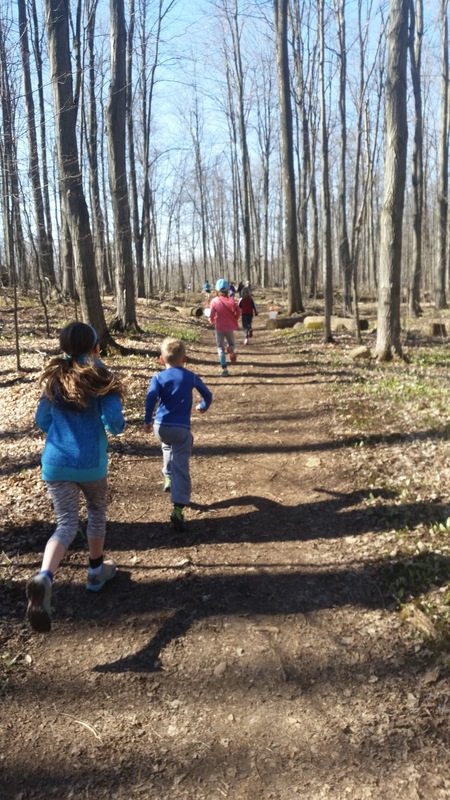 I mostly wrote this recap to entice readers to come join us next time at Rattlesnake Point. You can use the discount code of MARK (courtesy of my friend Mark Sawh) or JESSICA (courtesy of lacesandlattes) for $5 off each registration. 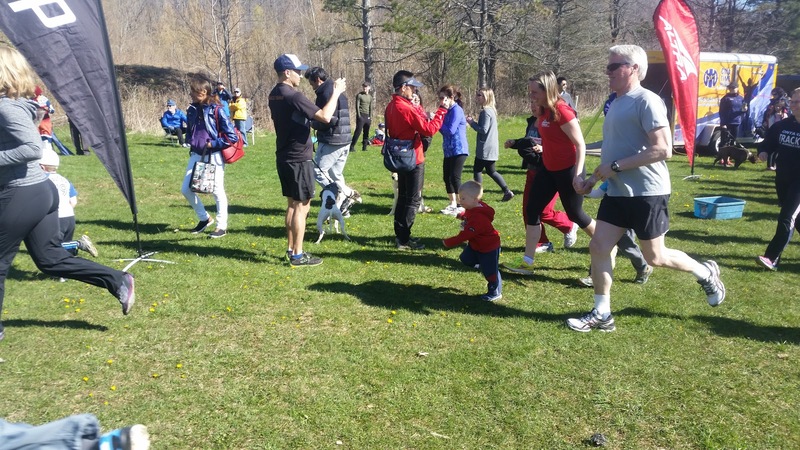 The 1 km fun run for kids is free. Hope to see you there on June 25th!